Learn more about the newest formulation of our fertilizer biocatalyst technology by watching "Introducing the New Titan XC." 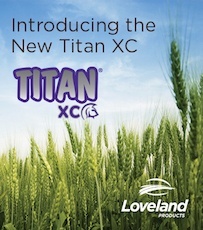 Specifically formulated for use with dry fertilizers, Titan XC is the key to quick release and uptake of vital plant nutrients. Watch this on-demand webinar to see how the unique and concentrated biochemistry in Titan XC helps growers maximize the return on their dry fertilizer investments.